The origin of the Brahma is wrapped in a deal of mystery, although it is accepted as of Asiatic ancestry. Its original name of Brahma-Pootra, after the river Brahmaputra in India, supports the first arrival of such stock in New York in 1846 from India. Stock reached Britain in 1853. 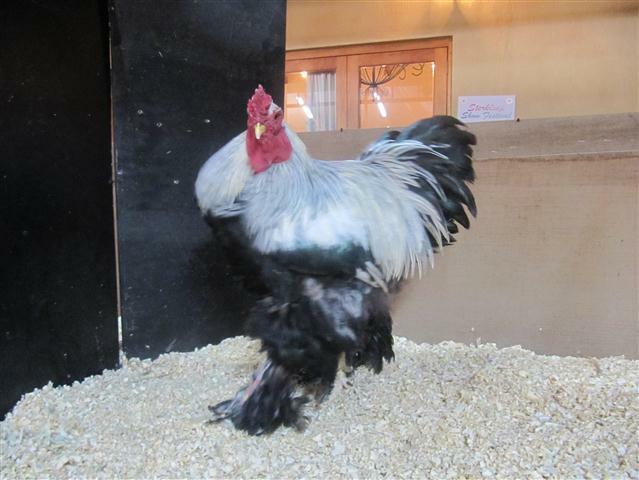 Much of the confusion at the time may have been associated with the lack of uniformity and of breed characteristics in the extra large and profusely feathered breeds being shipped from China. Both light and pencilled Brahmas were included in the British Poultry Club’s first Book of Standards issued in 1865, and the breed was developed with the pea comb as a characteristic.